On May 19, 2014, the Environmental Protection Agency (EPA) released its final rule to establish performance standards for the regulation of cooling water intake structures at existing power plants and other facilities pursuant to section 316(b) of the Clean Water Act (CWA). After a long delay needed to complete the biological opinion under the Endangered Species Act, the rule finalizes performance standards largely consistent with those proposed on April 20, 2011. The standards are intended to protect fish and other aquatic organisms by minimizing capture both in screens attached to intake structures (impingement mortality), and in the actual intake structures (entrainment mortality). The rule will not require all existing plants to use closed-loop systems, otherwise known as cooling towers, and provides a broad range of compliance measures for meeting both impingement and entrainment mortality standards. However, the rule does include provisions that may require facilities to install closed-loop systems where there is a demonstrated environmental need for the use of cooling towers. The environmental groups, whose lawsuits prompted EPA to propose and finalize this section 316(b) rule, have already signaled their intent to challenge the rule over the agency’s failure to require cooling water towers or other stringent control measures for all affected facilities. In 1977, EPA’s initial attempt at issuing section 316(b) regulations was reversed by an appellate court on procedural grounds in Appalachian Power Corp. v. EPA, 566 F.2d 451 (4th Cir. 1977). For almost twenty years afterwards, state authorities implemented the requirements of section 316(b) on a case-by-case basis for individual plants through CWA‑permit proceedings. In 1995, however, EPA entered into a consent decree with environmental groups that ultimately led to the issuance of three sequential section 316(b) rulemakings. 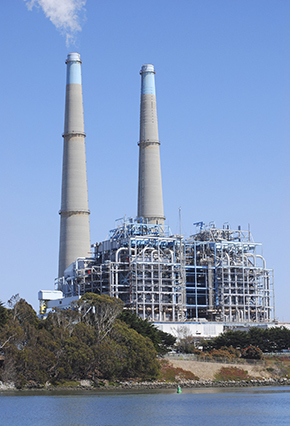 “Phase I,” finalized in 2001, established standards for new electric generating units (EGUs) and certain other facilities using large amounts of cooling water; “Phase II,” finalized in 2004, covered most existing EGUs; and “Phase III,” finalized in 2006, covered all other facilities using cooling water that are subject to section 316(b) of the CWA. These standards were challenged by both environmental organizations and industry, giving rise to several court decisions that precipitated this week’s final rule. In particular, the United States Court of Appeals for the Second Circuit held in 2004 and 2007 that certain aspects of the Phase I and II regulations were inconsistent with the CWA, and remanded the rules to EPA. In the summer of 2010, the Fifth Circuit remanded a portion of the Phase III standard that addressed requirements for additional existing facilities not covered in Phase II. In 2011, the Second Circuit’s 2007 decision was overturned by the U.S. Supreme Court after the Court found that Congress did not speak directly to whether or not a cost-benefit analysis could be used in environmental standards under the “best technology available” standard and upheld EPA’s interpretation of the regulations as reasonable. The final standards issued this week take into consideration the costs and benefits of the cooling water intake technology options, consistent with the Supreme Court’s opinion. At least 25% of the facility’s actual water withdrawals are used exclusively for cooling purposes. EPA estimates that these applicability criteria will apply to a total of 1065 existing facilities, of which 544 are electric generators and 521 are manufacturers. The final rule also requires the appropriate state or federal permitting authority to set appropriate requirements on a case-by-case basis using best professional judgment for existing facilities that do not meet the above criteria. Therefore, smaller facilities or facilities that use water almost exclusively for non-cooling purposes may still be subject to standards but would not be required to meet the specific standards outlined below. In addition, offshore LNG terminals and existing offshore oil and gas facilities must meet case-by-case BTA standards for both impingement mortality and entrainment as established by the permitting authority. achieve the specified impingement mortality performance standard. Entrainment Standards for Existing Facilities. Entrainment mortality is the death of an organism caused by the cooling water intake structure itself. Unlike for impingement, in the final rule EPA determined that there is no single nationally available technology basis that is BTA for entrainment at existing facilities. The best entrainment reduction method depends on site-specific geographical and biological conditions as well as the operations of the facility. EPA determined that an established process for making site-specific determinations of entrainment mitigation constitutes BTA. In outlining that site-specific process, EPA has established five factors that must be accounted for by the relevant permitting authority. The permitting authority may conclude that, based on these site-specific factors, BTA includes some combination of variable speed pumps, water reuse, fine mesh screens, closed-cycle recirculation, or other technologies, or, for some facilities, may not even require the use of any additional mitigation technology. Quantified and qualitative social benefits and costs of available entrainment technologies when such information on both benefits and costs is of sufficient rigor to make a decision. In order to facilitate the determination of BTA based on the above factors, large facilities (those that withdraw more than 125 million gallons per day) must develop and submit an Entrainment Characterization Study (ECS), which includes a technical and cost analysis of various entrainment mitigation technologies. Certain aspects of the ECS require peer review. Facilities that withdraw 125 million gallons per day or less are not required to develop and submit a full‑blown ECS but must still provide specified information in their permit applications. Closed-Cycle Cooling Requirements for New Units at Existing Facilities. A facility that constructs new units that add electric generation capacity at an existing facility must achieve one of two compliance alternatives for both impingement and entrainment mortality that employ essentially the same standard as closed-loop cooling technology or its equivalent. The EPA found that new construction can adequately design and plan for the use of closed loop cooling, or an equivalent technology, and therefore can provide a higher level of protection for aquatic life than is possible with retrofits of existing facilities. Exempt Facilities. Facilities that rely on water from a public water system that uses reclaimed water from: wastewater treatment plants; desalination plants; or that recycle effluent wastewater are not subject to the rule’s standards. Section 7 of the Endangered Species Act (ESA) requires the U.S. Department of Interior (Interior)’s U.S. Fish and Wildlife Service (USFWS) and/or National Marine Fisheries Service (NMFS) to consult with a federal action agency on the potential effects of a discretionary federal action on endangered and threatened species or designated critical habitat. In the case of the current rulemaking, USFWS and NMFS have released a joint, programmatic Biological Opinion (BO) which concludes that, overall, the rule “is not likely to jeopardize the continued existence of ESA-listed species… and is not likely to destroy or adversely modify designated critical habitat….” However, this conclusion is narrowly limited to EPA’s issuance of the final rule. Further, USFWS and NMFS base their no jeopardy/no adverse modification conclusion on a series of assumptions regarding further review of individual NPDES permit applications involving a section 316(b)‑regulated facility, including the potential adoption of further “control measures, monitoring, and reporting recommendations” provided by USFWS or NMFS. The rule becomes effective 60 days after it is published in the Federal Register. Using a 3 percent discount rate, the agency estimates the total annualized costs of this rule to be $275 million; however, this estimate does not include the costs for installing new technology to meet the site‑specific entrainment standard. EPA estimates that total monetized benefits using a 3 percent discount rate to be $33 million annually, including approximately $12 million of greenhouse gas reduction benefits. EPA notes, however, that accounting only for monetized benefits significantly underestimates total benefits of the final rule. EPA describes a number of unquantified benefits such as existence values of threatened and endangered species, secondary and tertiary ecosystem impacts, shellfish impacts, and impacts from reducing thermal discharges which would come from the rule but which the agency was not able to monetize. Based on the consideration of these additional unquantified benefits along with the monetized benefits, EPA therefore concludes that the benefits of this rule justify the costs. Van Ness Feldman closely monitors and counsels clients on water, air, and other environmental regulatory developments. If you would like more information about the final section 316(b) standards or assistance with assessing the specific implications of the final rule with regard to your operations, please contact Stephen Fotis, Kyle Danish, Britt Fleming, or any member of the firm’s Environmental Practice in Washington, D.C. at (202) 298-1800 or in Seattle, WA at (206) 623-9372.